We had to deal with power failures, burned hard drives and our sound engineer George being kidnapped by a black metal band (the bastards did hold him for more than two months)! Despite all that, we made it! 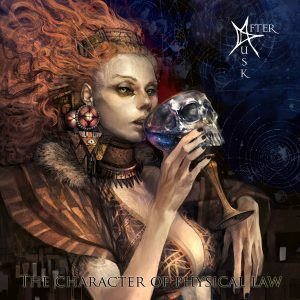 It is our first studio album since 2012′ s “The devil got his soul” and it is entitled “The Character of Physical Law”. The goal was to forge our heavy, thrash and black metal alloys into one. The album is produced by After Dusk and engineered, mixed and mastered by George Emmanuel. It will be released worldwide on April 27th 2017, on CD and every major digital retailer (i-tunes, google music, Spotify etc). 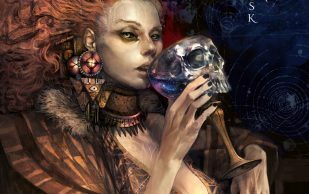 The cover is made by artist Othon Nikolaidis and you can check it out below, along with the album’s track list! The first song from the album is coming very soon, so stay tuned!